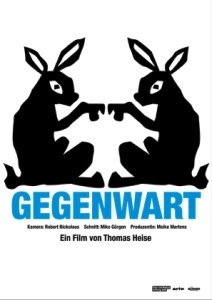 Chronicling the daily rigmarole within a German crematorium, Thomas Heise’s Consequence (Gegenwart, 2012) is a muted observation of a process many of us know very little about. Considerate, yet in no way eulogising of the dead, Heise’s clinical documentary often manages to evoke a rather confusing sense of joie de vivre. The monotony of the working day has rarely been presented quite so joylessly as it is here. We watch on as coffins have their precious metals prised off, bodies are checked against burial records, machinery is maintained and floors scrubbed, all with the same essential monotony. It’s not often that phrases like ‘load’, ‘grind’ and ‘dump’ appear on-screen with such impassive connotations, but this morbid procedural undeniably manages to get under your skin, turning that initial sense of curiosity into a furtively invigorating experience. Consequence’s lack of dialogue and its conceivable attempts to delve into the mindset of the people who choose to work in this dour mausoleum is initially rather exasperating. We want to know more about the type of individual who would follow such a career, and how working surrounded by the dead effects them. However, through his attentive, observant and detached approach, it becomes clear that Heise is more interested in showing us people at work. Depicting the taboo of death as just another of life’s processes (albeit the final one), the clam and routine manner in which bodies are dealt with in Consequence is actually rather reassuring. At one point, we briefly observe a skull burning, but instead of the intimidating implications that image brings to mind, it turns into an evocative moment filled with ethereal inferences – the beauty of creation forcibly upturned. This whole complicated process is almost as intricate as the creation of the body itself, so much so that when we do first glimpse a corpse in a coffin, it genuinely comes as quite the shock. A subdued and incredibly matter-of-fact portrayal of human disposal, Heise’s aptly-titled Consequence admirably manages to instil a determination within the viewer to reconsider their own precarious mortal existence.